Effective medication management is vital to achieving optimal outcomes. When providers can help their patients adhere to a medication regimen, risks such as adverse drug reactions, unnecessary admissions, illness, and even death are reduced and clinical goals are more likely to be achieved. Considering the importance of medication management and the challenge it can present to providers and patients — especially as regimens become more complex — it comes as no surprise that there has been a rapid surge in solutions and services intended to improve medication management. With a growing number of choices available for providers, selecting a solution may seem difficult. But following a checklist of important medication management qualities can help you select the solution that best meets your needs. With a smaller list of systems, you will be in a better position to perform more aggressive research into each technology, including demoing solutions and speaking with current users to learn about their experiences. Here are five qualities to look for in a medication management system. Introducing any system is rarely easy. While some of your clinicians may embrace the opportunity to use new medication management technology, others may push back on even the suggestion of a change. Buy-in will be even more difficult if the system you want to add has a steep learning curve. Complex systems often require extensive training. With already demanding schedules, finding the time for clinicians to receive such training may prove difficult. An intuitive design can greatly accelerate adoption. When clinicians can pick up a new system and immediately understand its core functions, features and controls, the case you are making for why they should use the technology will become much stronger. Naysayers will have a core argument against adopting a new system — difficulty of use — eliminated. When adoption can happen quickly, the benefits of using the new solution will be realized much quicker. For a medication management system to be truly effective, it must include all medications. If a provider is unable to easily see any of a patient's medications (e.g., prescription, nonprescription, alternative, traditional, vitamins, or nutritional supplements) from a comprehensive database, management becomes more difficult and the likelihood of failed adherence increases. In addition to including a complete database of medications, the system must receive ongoing updates to account for new medications on the market. While manual entry of medication information can help fill in database gaps, this can be a time-consuming and frustrating process. It will also likely lead to data entry errors, potentially associated with look-alike and sound-alike drugs. An effective medication management system will do more than just support providers' efforts to help patients adhere to a regimen. It will give clinicians critical insight to keep patients safe. For example, a system may include functionality that alerts providers of hazardous drug combinations, medication duplications, and risky dosages. 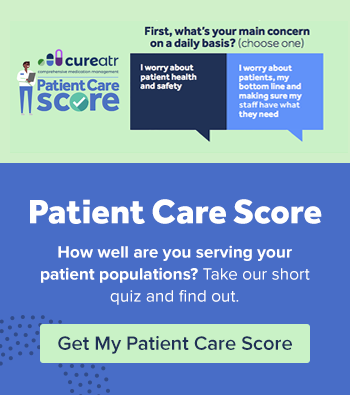 Such insight could go even deeper, informing clinicians when there are patterns that indicate an increased risk of potential issues and errors or when patients drift from their regimen by failing to fill or refill a prescription. Clinicians are frequently on the go. A medication management system must be able to go with them. 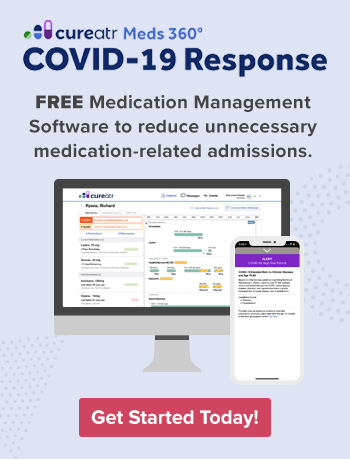 As an HIT Consultant report notes, "Mobile medication management enables physicians and prescribers to simplify interactions with patients and reduce the time required to chart and document patient interactions, whether in or out of the office. By integrating critical medication management technologies with the convenience of mobile devices, physicians are armed with a comprehensive range of patient-centered technologies that extend to the full lifecycle of patient care, regardless of their physical location." Cybercriminals want healthcare data. And they are quite successful at getting it. As the Ponemon Institute noted in its 2018 Cost of a Data Breach Study, "For the eighth year in a row, healthcare organizations had the highest costs associated with data breaches — costing them $408 per lost or stolen record — nearly three times higher than the cross-industry average ($148)." Any medication management system you consider investing in must be secure and HIPAA-compliant or you increase the risk of suffering a data breach. If the system is accessible from desktop/laptop browsers, smartphones, and tablets, it should maintain the same level of security regardless of the platform.